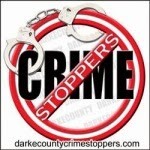 On March 21, 2019 at approximately 7:05 pm, Greenville Police Officers responded to a shots fired call at the location of 410 1/2 Central Ave. A male subject was found bleeding. Subject was taken to Wayne Hospital and subsequently transported to Miami Valley Hospital in Dayton. Greenville Police Officers and Detectives collected evidence and statements. This is a continuing investigation.